Citizens Memorial Hospital (CMH) will host a free Lunch and Learn seminar on fibromyalgia on Friday, April 6 from 11:30 a.m. to 1 p.m. in the CMH Community Rooms, located at 1500 N. Oakland in Bolivar. 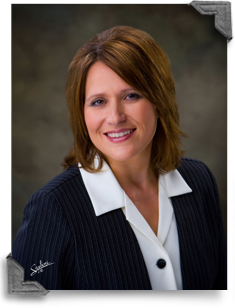 The Lunch and Learn will be presented by Ronda Stewart, DNP, RN, FNP-BC. Stewart earned her nursing degree from Burge School of Nursing, Springfield. She received her bachelor’s degree in nursing from Southwest Baptist University and a master’s degree in nursing and family nurse practitioner certification (FNP) from University of Missouri, Kansas City. Stewart completed her doctorate in nursing (DNP) from Missouri State University, Springfield. Stewart sees patients for sudden illness or injury, allergies, cold, cough and flu, minor burns, fractures, sprains and strains, and minor laceration repair. She is in practice at Bolivar Family Care Center at CMH in Bolivar. A light lunch will be served and reservations are requested. For more information or to register visit http://conta.cc/2CKV9u1 or call the CMH Information Center at 417-328-6010 or 888-328-6010.